Why would a young person consider a hair transplant? There are many reasons that a younger person considers a hair transplant. To start with, hair loss in young patients is common (roughly 20-30% of 30 year olds have evidence of thinning hair), and can be devastating. For both men and women, hair is important part of one’s physical identity. Hair acts to not only frame the face but also communitcates style and vitality. 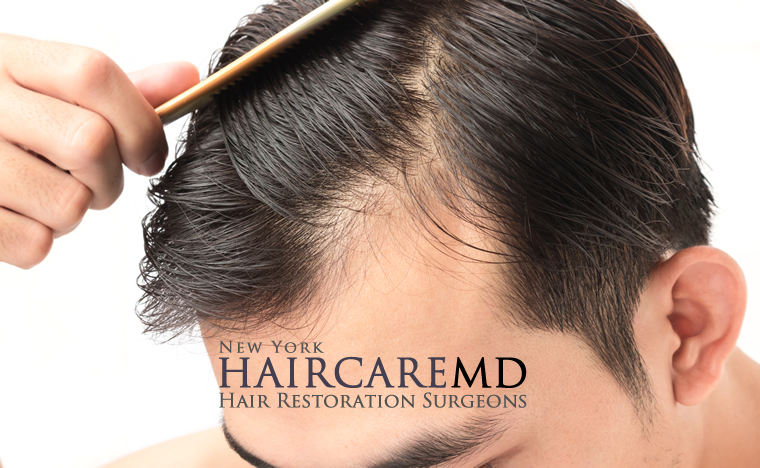 In men, a hair transplant can restore and reinforce the hairline. Because the hair that is transplanted will last a lifetime, the surgeons at HairCareMD are very careful to plan a natural result that is sensible for the patient through all stages of life. The hairline is not over-lowered, the pattern is individualized, and the borders are feathered to avoid harsh transitions. Young patients often express that they want to tackle their hair loss early, before it is very noticeable. There is also a sentiment that since the result lasts for life and since they are going to do the transplant, then they should just do it now and enjoy the result for a longer period of time. There are many more reasons to have a transplant. If you or a loved one is considering hair restoration or a hair transplant, we would love to learn your story and help you have the best hair possible.